Boyds, Md. 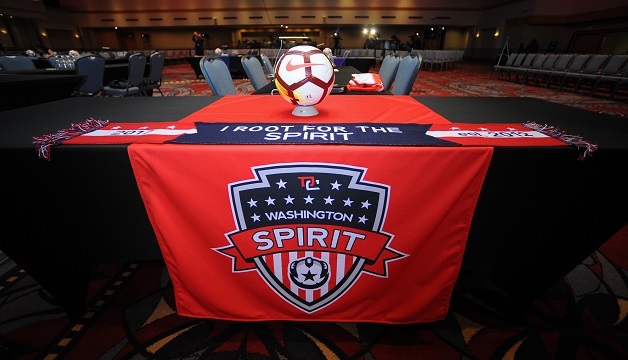 (Jan. 10, 2019) – As part of a trade announced earlier today, the Washington Spirit will send defenders Caprice Dydasco and Estelle Johnson, and goalkeeper DiDi Haracic to Sky Blue FC. In return for the three players and the No. 29 selection in Thursday’s NWSL College Draft, the Spirit received the No. 3 overall pick from Sky Blue FC. With the pick, Washington selected Stanford University midfielder Jordan DiBiasi. Dydasco has played in 60 games with the Spirit during her four seasons with the club since being drafted in 2015 out of UCLA. She appeared in all 24 games last season, finishing among the NWSL’s top 10 league leaders in several major categories, including total touches, interceptions, tackles won and total passes. Johnson has played in 72 games for Washington over her four years with the club, also dating back to 2015. The 30-year-old served as captain for the Spirit in 2018, making 21 appearances and logging 1,890 minutes. Both Johnson and Dydasco played in the 2016 NWSL Championship for Washington. Haracic, a Bosnia and Herzegovina international, has made nine appearances with Washington over the past two seasons. Her 2018 season was highlighted by a 10-save performance against Utah Royals FC on Aug. 22 at the Maryland SoccerPlex. Transaction: Washington Spirit acquires the No. 3 overall pick in the 2019 NWSL College Draft; Sky Blue FC receives the No. 29 selection in the 2019 draft and Caprice Dydasco, Estelle Johnson and DiDi Haracic.